Hi, guys! I’m a big fan of your conversations and I’ve got a question. Is there any other national food in Australia? 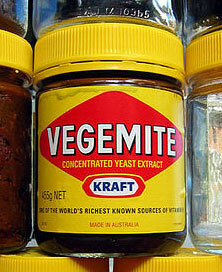 I mean, other than Vegemite. I understand that such a young culture may have very few of them, but anyway… Of course, I could Google it, but it’s better to get the up-to-date information rather than bare historical facts.